Annie & Fran attend the Fat Babe Pool Party. 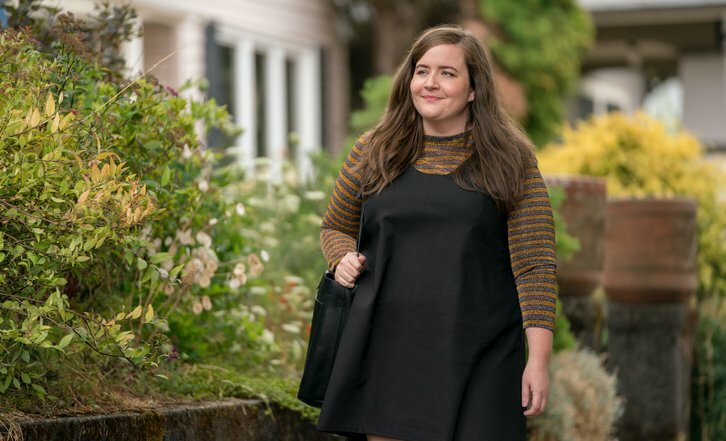 Annie is so empowered by the experience and so furious with her boss, Gabe, that she posts a body positive article to the paper’s website that explains exactly what it’s like to be a fat woman in today’s world. Annie isn’t going to let her troll ruin all the success she’s had recently. So, she invites Ryan to a work event -excited to introduce her boyfriend into her life. Annie’s writing her first article, going on her first date with Ryan and, finally, asking more from the people in her life than she has before. Things are looking up, until an internet troll appears and tries to drag her self-esteem back down where it started.